Looking for a truly unique Valentine’s gift your your special someone? McDonald’s has the perfect (?) bling! It’s a gold and diamond Big Mac ring! Detailed to look exactly like the Big Macs on the commercials, the ring is valued at $12,500 and can be yours for the price of a tweet. 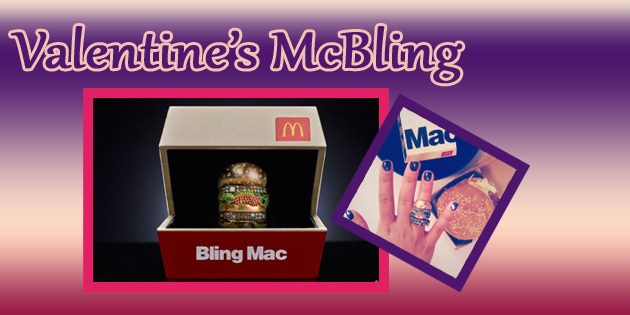 Just express your love and appreciation of the Big Mac via Twitter using the #BlingMacContest before Valentine’s Day and you could win! And probably turn around and hit eBay with it, lol.